W.B. Roberts Landscape Construction strives to provide customized landscape maintenance and design for every customer. Our attention to detail is unsurpassed. We look at every aspect of the project from the owners point of view. Our goal is to make the vision you have of your yard a reality for you. We take great pride in the appearance of your home. W.B. Roberts Landscape Construction has been in operation for over 25 years. 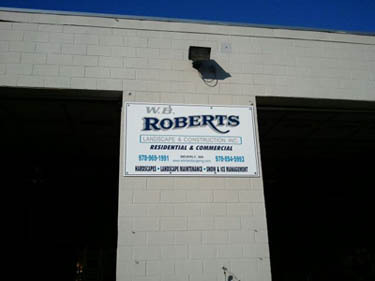 Principal Owner William Roberts started this business and three years ago brought his son Sean on as a full partner. With a fleet of equipment, machines and trucks we can handle any job large or small.